The question appears on every country’s entry form, and you have to choose. One or the other. Walking through an airport it is easy to pick out the strictly leisure types, cameras around necks, Hawaiian shirts and flip flops walking through O’Hare in January. It used to be easy to spot the business types — suits and ties or the classic khakis and blue sport coats (male and female versions). But today’s leisure traveler is just as likely to be hauling a computer case as the business traveler is to be clutching a Fodor’s guide. 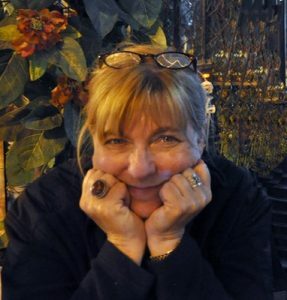 Whether it is the proliferation of home offices or the invasion of the gen-x “I don’t need no stinkin’ suit” mentality, the travel world is a different place than it was in the eighties when I took my first trip overseas. One thing that has also changed are the ubiquitous examples of bad translations. 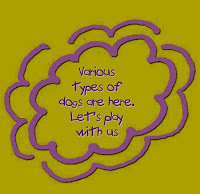 T shirts splashed with English saying like “sports is happy time” or my personal favorite from a coffee mug I purchased in Tokyo years ago, “Various types of dogs are here, let’s play with us!” Was that supposed to say Dogs are Fun? Dogs! Let’s play! Who knows. Translators (like the rest of us) have become a bit more worldly and these one liners are getting more scarce. I snapped the picture above in the Kuala Lumpur airport and found it in my picture sorting. 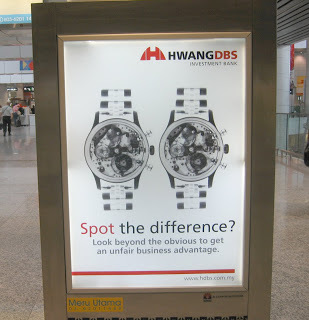 One can only hope this is a bad translation and should really read “a business advantage” rather than an “unfair business advantage.” But I have to say, it is that “unfair” business rubric that gets me sputtering whenever I hear someone saying we need to reform schools on a business model. Really. The Enron business model? The hedge fund business model? I used to cite the savings and loan crisis but that is so many corporate disasters ago that it is fading into a vanishing point. I once worked at a big, healthy law firm whose main task was save the corporate hides of businesses in trouble — and that law firm is one of MANY. Is playing fair the stuff of picture books? Pure fiction? Or is it an aspiration? If so, then the business world could take some lessons from schools. Now, the fact that our schools are so disparate in resources, that’s truly unfair. But it’s going to take more than a “business model” to fix that — especially as advertised. I want to take this post and scream it from the rooftop of the School Board office in my county!!! Thank you for validating what many of us have been futiley fighting about. My 8 year old isn’t learning to add and subtract, but because we are a “Baldrige model” school, she must set an academic goal and list the steps she must take to achieve it.